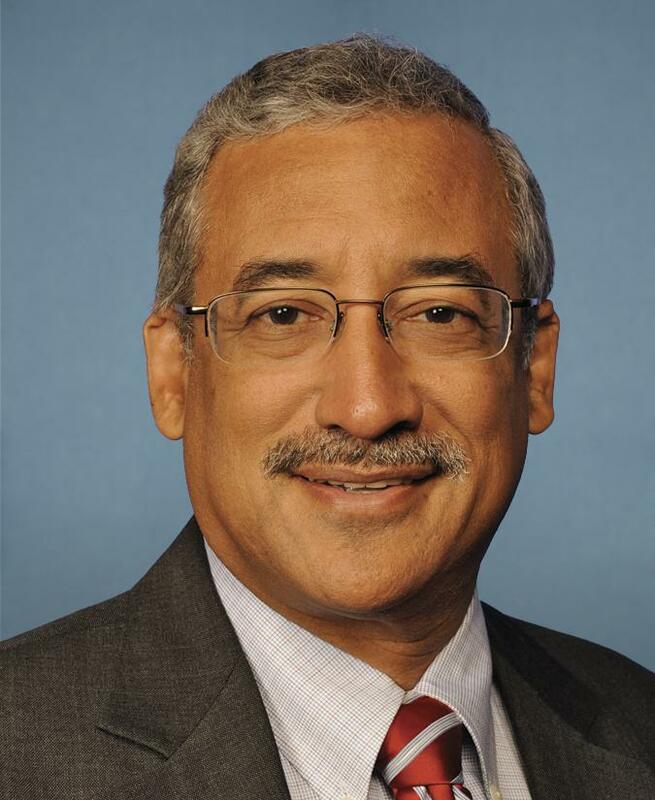 Rep. Virginia Foxx (R-NC), Chair of the House Education and the Workforce Committee, and Rep. Bobby Scott (D-VA), Ranking Member of the Committee, spoke at the Council for Higher Education Accreditation (CHEA) 2018 Annual Conference, held January 29-31 in Washington, DC. Both addressed H.R. 4508, the Promoting Real Opportunity, Success, and Prosperity through Education Reform (PROSPER) Act. H.R. 4508, the Promoting Real Opportunity, Success, and Prosperity through Education Reform (PROSPER) Act. Foxx, who sponsored H.R. 4508, said that the bill is not an amendment of the Higher Education Act (HEA) but instead is designed to reform higher education for the future. She also stated that the bill maintains the current accreditation system’s focus on educational quality. Scott voiced Democrats’ concerns with the legislation, saying that he wants to ensure that the bill will “adhere to the law’s intent – ensuring that no child will be denied access to higher education because the family is poor.” He noted that more money will need to be spent on student and institutional aid. On December 12, 2017, the House education committee marked up and approved the PROSPER Act by a vote of 23 to 17 (see Federal Update #63). The bill has not yet been scheduled for a vote by the full House of Representatives. Chairman Lamar Alexander (R-TN) and Ranking Member Patty Murray (D-WA) are seeking comments and suggestions from education stakeholders for the Senate Health, Education, Labor and Pensions (HELP) Committee to consider as they work to draft a reauthorization the Higher Education Act. Comments are due by February 23, 2018 to the email address HigherEducation2018@help.senate.gov. On February 1, 2018, Senator Lamar Alexander (R-TN), Chair of the Senate HELP Committee, released a White Paper on higher education accountability. The paper, which focuses primarily on issues related to student aid, provides an overview of the federal accountability requirements that currently exist in higher education and considers a number of concepts or proposals for updating the measures. In preparation for drafting HEA reauthorization legislation, Alexander requested comments on the federal accountability concepts and proposals “to ensure that students at our 6,000 colleges and universities are receiving degrees worth their time and money.” Alexander noted that he is seeking suggestions from students and their families, professors, institutions and others interested in higher education. On January 23, 2018, the U.S. Government Accountability Office (GAO) publicly released a report titled Higher Education: Expert Views of U.S. Accreditation. The report was requested by Senators Richard Durbin (D-IL), Brian Schatz (D-HI) and Congresswoman Rosa DeLauro (D-CT) in Fall, 2015. GAO subsequently convened a roundtable on the issue of accreditation, as well as reviewed literature on accreditation and conducted interviews with higher education and accreditation stakeholders. In a January 24, 2018 Federal Register notice, USDE requested public comment concerning the Accrediting Council for Independent Colleges and Schools (ACICS) application for federal recognition. ACICS’s application is on the schedule of the next meeting of NACIQI, to be held May 22-24, 2018. ACICS’s federal recognition was removed on December 12, 2016 (see Federal Update #56 and Federal Update #57). Under the existing regulations, institutions currently accredited by ACICS that have not been accredited by another USDE-recognized accrediting organization will lose federal funding on June 11, 2018 unless ACICS is federally recognized again. Kent Talbert has been named Senior Policy Adviser to USDE’s Deputy Secretary and will perform the duties of Deputy Secretary pending confirmation by the Senate of nominee Mitchell Zais. Talbert worked as the USDE General Counsel during the George W. Bush administration and was a member of the Trump transition team for USDE. Frank Brogan has been delegated the duties of Assistant Secretary for Postsecondary Education, where he will supervise Higher Education Programs, the Office of International and Foreign Language Education and the Office of Policy, Planning and Innovation. Brogan served as Chancellor of the Pennsylvania State System of Higher Education from 2013 until retiring in 2017. He has been nominated by the President to be Assistant Secretary for Elementary and Secondary Education and is awaiting Senate confirmation. He will replace Kathleen Smith, who will now manage the day-to-day operations of the Financial Services Administration. Before joining the USDE staff in June, 2017, Smith served as the higher education policy advisor to Senator Lamar Alexander, Chair of the Senate HELP Committee. The National Advisory Committee on Institutional Quality and Integrity (NACIQI) met in Washington, DC on February 7-8, 2018. NACIQI is the advisory body that provides recommendations to the Secretary of Education on recognition of accrediting organizations. Recognition by USDE affirms that the standards and processes of accrediting organizations and state accreditation approval agencies demonstrate compliance with USDE's criteria. In advance of the meeting, USDE issued staff reports for all of the organizations scheduled for review. At its meeting, NACIQI recommended renewal of recognition for three years, based on compliance reports, of the American Board of Funeral Service Education Committee on Accreditation, the Midwifery Education Accreditation Council and the Montessori Accreditation Council for Teacher Education. NACIQI recommended renewal of recognition for two years of the State Agency for the Approval of Nurse Education, New York State Board of Regents, based on a compliance report, and renewal of recognition for four years of the State Approval Agency for Nurse Education, North Dakota Board of Nursing. These recommendations were accepted as part of NACIQI’s consent agenda, without further discussion. NACIQI recommended renewal of recognition for five years of the Accreditation Commission for Education in Nursing, the Accreditation Commission for Midwifery Education, the Higher Learning Commission, Middle States Commission on Higher Education, the New England Association of Schools and Colleges Commission on Institutions of Higher Education and the WASC Senior College and University Commission. The committee also recommended continuing current recognition of the American Physical Therapy Association Commission on Accreditation in Physical Therapy Education and the New York State Board of Regents Commission of Education and requiring them to come into compliance within 12 months and recommended continuing current recognition of the Oklahoma Board of Career and Technology Education and requiring the board to come into compliance within six months. Complete information on recommendations by the Committee will be available when the transcript of the meeting is released by USDE. NACIQI’s recommendations now go to a USDE senior department official for final approval. NACIQI heard from a panel of representatives from think tanks and higher education associations on the issue of establishing a student-level data network. The Committee also approved its draft regulatory relief report published on January 10, 2018.